I know tennis and beer pong aren’t the same, but if you’re a 23-time Grand Slam winner, some skills probably transfer to the pong table. 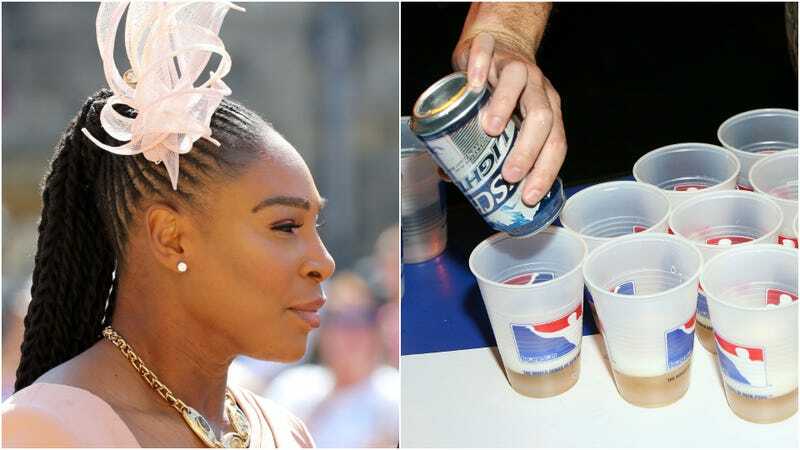 So I would not have wanted to be the person facing off against Serena Williams at the royal wedding after-party, where the star reportedly wiped the floor with her beer-pong competition. Perhaps the secret to Williams’ pong success was on her feet: She was wearing sneakers under her floor-length evening gown. While other guests had to balance on stilettos while preparing for a beer-pong shot, Williams came dressed for success. My lone remaining question: What type of beer does a royal wedding after-party use for pong?